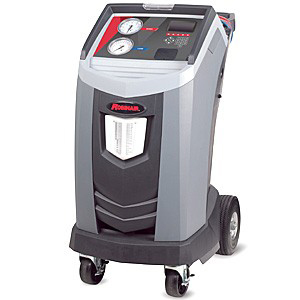 Robinair 34788NI and 34788NI-H machines recover, recycle, evacuate, leak test and recharge R-134a with improved 98.5% efficiency – unmatched by any competitor. 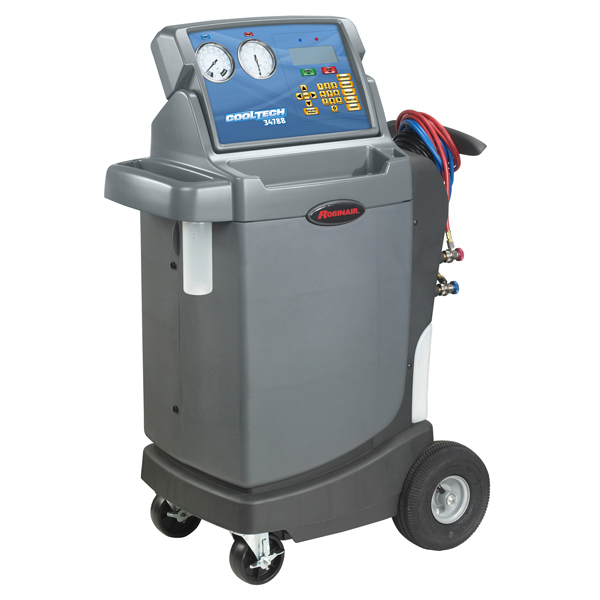 The new design features a larger graphical display, automatic features including leak testing, automatic refrigerant refill and oil drain/inject – putting A/C lubricant back into the system. 34788 also boasts the ability to add a printer, USB data sharing, refrigerant identifier and wireless module for Wi-Fi or Bluetooth® communication. An optional refrigerant charge and oil capacities database is available for North American market vehicles.